In state 9 am until Mass begins. 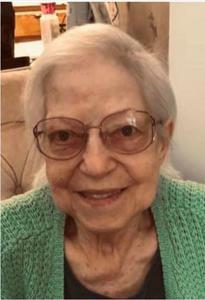 Theresa A. Slawinski, age 88, passed away February 9, 2019 in Gaylord, Michigan. Formerly of Dearborn and Livonia. She was preceded in death by her siblings Max, Thaddeus, Sophie and Chester. Aunt and great aunt to many nieces and nephews. Theresa retired in 1990 from Ford Motor and Lincoln Mercury Divisions. She loved to travel and traveled all over the world during her lifetime. Sewing was another of her passions. A Mass of Christian burial will be held Wednesday 9:30 am instate 9:00am until Mass begins at St. Aiden Catholic Church, 17500 Farmington Rd, Livonia.